SANTA ANA, Calif. (March 14, 2018) – Big Brothers Big Sisters of Orange County and the Inland Empire, a nonprofit providing youth facing adversity with one-to-one professionally supported mentoring relationships, today announces a slate of changes to its board of directors for 2018. 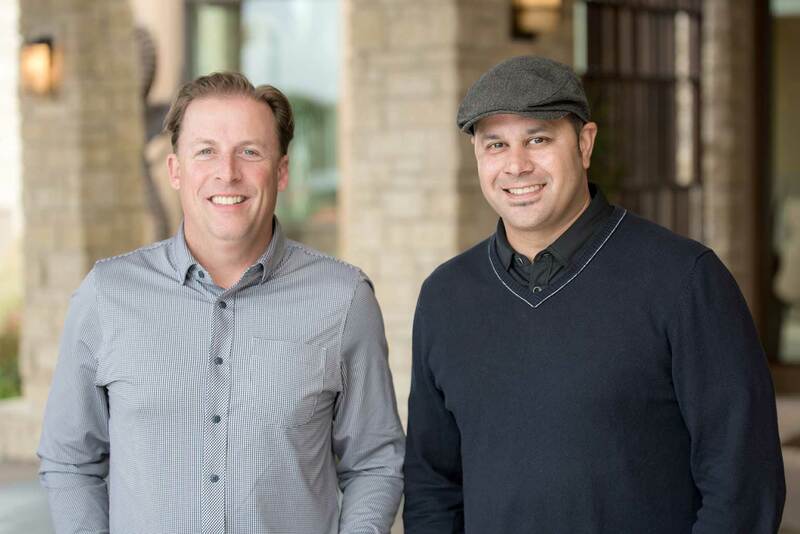 Todd Pickup begins his two-year term as board chair, with Navin Narang promoted to vice chair. New additions include Matthew Stowe to the executive board and Matt Bailey, Blake Johnson and Guy Johnson to the governing board. With the new appointments, Big Brothers Big Sisters has a roster of 46 members on its executive and governing boards who are helping to maintain the local agency’s success as the second largest of 320 affiliates nationwide. Todd Pickup is a private equity investor specializing in public securities, private corporate investments, private portfolio management and hospitality assets. Currently, he is the CEO of International Bay Clubs, the parent of the Balboa Bay Club and Newport Beach Country Club. A seasoned investment strategist, he is a graduate of the University of Southern California and served on the Big Brothers Big Sisters executive board of directors before becoming chair in 2018. Navin Narang is the co-founder and co-managing partner of FHP Capital Partners. He is a born entrepreneur, starting his first successful company at the age of 19. His background encompasses 17 years experience in building and operating several companies generating hundreds of millions in revenue, developing real estate and producing movies. In addition to serving as the vice chair for Big Brothers Big Sisters’ board of directors, he is also on the board of the Marconi Foundation for Kids. Matthew Stowe is chief operating officer and managing partner at OctoClean Franchising Systems Inc., a hospital housekeeping and commercial cleaning company established in 2000. Located in the Hunter Park region of Riverside, the company recently expanded its territories to Nevada and Northern California. In 2014, OctoClean added a division offering commercial landscaping services under the name OctoGreen Landscaping Services, where Stowe is sitting CEO. He is an active member of the Riverside Chamber for more than 10 years, serves as a committee member for the Chamber’s annual golf tournament and currently sits on the Hunter Park Business Council board as vice president. In addition to his recent elevation to the executive board of Big Brothers Big Sisters, he also leads the agency’s three Inland Empire advisory boards as regional chair and is president of the Parkview Community Hospital Foundation. Matt Bailey has more than 20 years of experience in creating and executing on growth strategies that build long-term, sustainable value for both customers and stakeholders. Currently, Bailey serves as director of ecosystem development at UCI Applied Innovation, where he is able to leverage his passion for entrepreneurship to help further develop the Orange County startup ecosystem. He is also an educator, formerly teaching at the Argyros School of Business at Chapman University, and currently at the Paul Merage School of Business at UC Irvine. Bailey holds an MBA from UC Irvine’s Paul Merage School of Business and a master’s degree in business analytics from the Stern School of Management at NYU. Blake Johnson has an extensive background in building high-growth companies, operations, accounting, finance, executive leadership and structuring companies for acquisition. Over the last 12 years, Johnson was president of CapNet Financial Services and founded IM Capital Access, Commercial Credit Consultants and Currency Capital. Raised in El Centro, Calif., he attended the University of Arizona and launched his business career at a finance company in Newport Beach in 1999. As a mentor with Big Brothers Big Sisters, he has maintained a relationship with his Little Brother for nearly two decades. Guy Johnson has worked in commercial real estate finance services, asset management and private equity investing for more than three decades. A widely recognized capital markets leader and frequent industry speaker, he was the founder and CEO of Johnson Capital and has successfully sold operating entities to various NYSE public companies including Prudential Insurance, CBRE and Walker & Dunlop. Presently, Johnson serves as vice chairman of capital markets for Walker & Dunlop and is also chair of Johnson Capital Residential Investments. He has a Bachelor of Science degree in accounting from University of Southern California and an MBA from Loyola University.